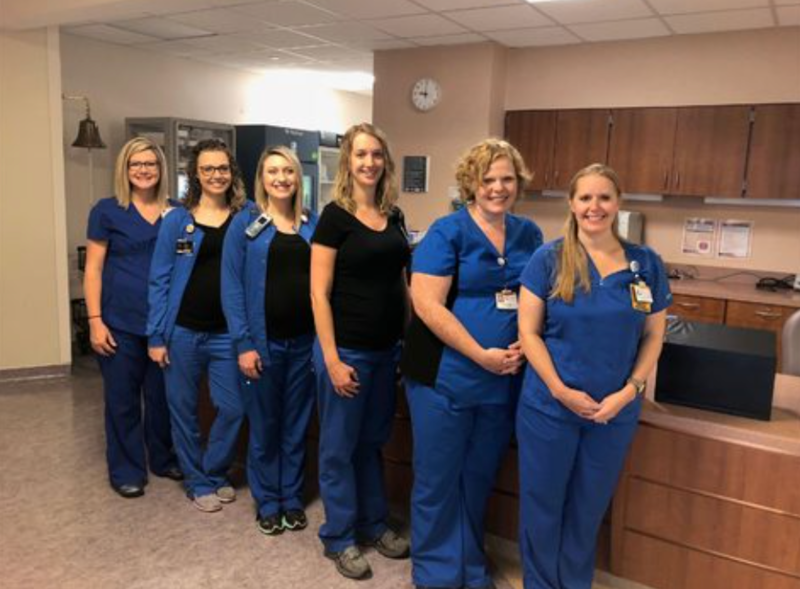 Susie Nix, Michelle Moore, Amanda Loye, Natalie Deal, Ashley Davis, Abby Lucas and Katie Jones all work together in Labor and Delivery at Cone Health Women’s Hospital in Greensboro, North Carolina and all seven of them are expecting at the same time! The due dates are between August and December this year. Loye is expecting twin boys, Moore, Deal, Davis and Lucas are expecting boys, while Nix and Jones say they don't want to know the gender until the baby is born. All of the women will be giving birth at Greensboro hospital, of course. Multiple maternity leaves aren’t an issue since they have a full team of 85 Nurses in the unit. Loey said that being pregnant and working with expecting mothers makes it easy to start a conversation with the patients. “It gives you something to talk about right off the bat!” she said. Over at Wake Forest Baptist Medical Center in Winston-Salem, N.C. we meet Nina Day, Bethany Stringer, Emily Johnson, Nikki Huth, Sabrina Hudson and Katie Carlton. According to one report, their patients refer to them as the fabulous "six-pack." They are a tight-knit group of Nurses who love that they’re sharing this experience. Their due dates range from July to December. Hospital spokeswoman Eryn Johnson reassured those concerned, that the hospital has made plans to continue patient care when the women take maternity leave. 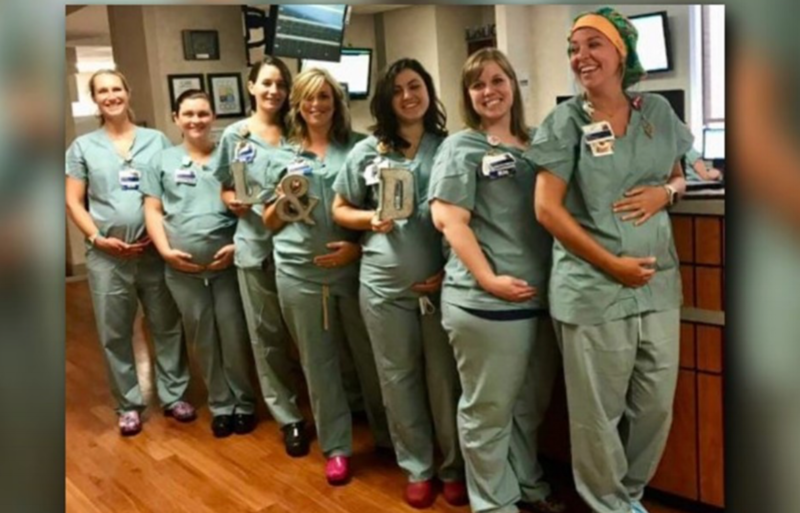 "All of these Nurses have spoken highly about sharing their pregnancy journeys together along with the support, advice and tips they’ve been able to share," Johnson said. "Quite the bond that’s been established."